I like baking perfect things. Usually to get there I first have to bake a series of imperfect things–often over the course of years as I try different recipes and hope this next one is the one. Then, once I find it, we’re very happy together. Chocolate chip cookies and I have been together for several years now. It was love at first sight with cinnamon rolls. I just found brownies last year (post forthcoming), which is a small miracle. I haven’t yet found vanilla cupcakes. I’ve made decent vanilla cupcakes, but nothing that seemed… perfect. The cupcake recipe I’ve been using lately tastes good but is slightly dense, while cupcakes I’ve had at bakeries are light and springy. How does that happen? What makes a springy cupcake? So, one Thursday evening after work I decided I wanted to bake four different cupcake recipes to pit them against one another in a fight to the death. The thing about chess pie is that I don’t understand it. I hadn’t even heard of it until a couple of years ago. In my defense I’m from San Diego and this pie, apparently, hails from the South. From what I’ve learned, it’s a sweet custard-y pie–though the stick of butter and ton of sugar put it in a new category entirely. Another element I found unique is the tablespoon of vinegar to cut the sweetness (more on that later) and the cornmeal that’s mixed in with the pie filling, which floats to the top during the baking process to create a crispy top layer. And because the pie’s ingredients are simple, the vanilla really shines through. You know a muffin is good when you can’t stop eating the batter. I wish I could say a child was involved in the making of this. It would be better for my ego. But no, this one was all me. As I’ve said before, I don’t decorate. I aim to make things that taste good, not look good. So why would I make a cake whose execution depends entirely on decoration? Why would I let this happen? Nostalgia might be the best explanation. Kate and I got to talking about the PBS kids’ show Zoom, which we used to watch when we were children. We both recalled one episode in which Caroline made a rainbow cake, which Kate had always wanted to make, and which my eleven-year-old self actually did end up making not long after seeing the episode. And then, just like that, we wanted a rainbow cake. These came out tasting almost exactly like Walkers Shortbread, which is an obsession of mine. It’s deliciously buttery and rich, and one is never enough. It’s hard to imagine how something made with just four ingredients–flour, sugar, salt, and butter–can be so tantalizing, but then again, when you think about how much butter goes into these, it’s pretty self-explanatory. I didn’t understand the magic of Walkers shortbread until I was about eight years old. Being a night owl, I’d stayed up late watching Family Matters reruns one night while everyone else in my family went to bed. During a commercial break I spotted the shortbread in a kitchen cupboard. 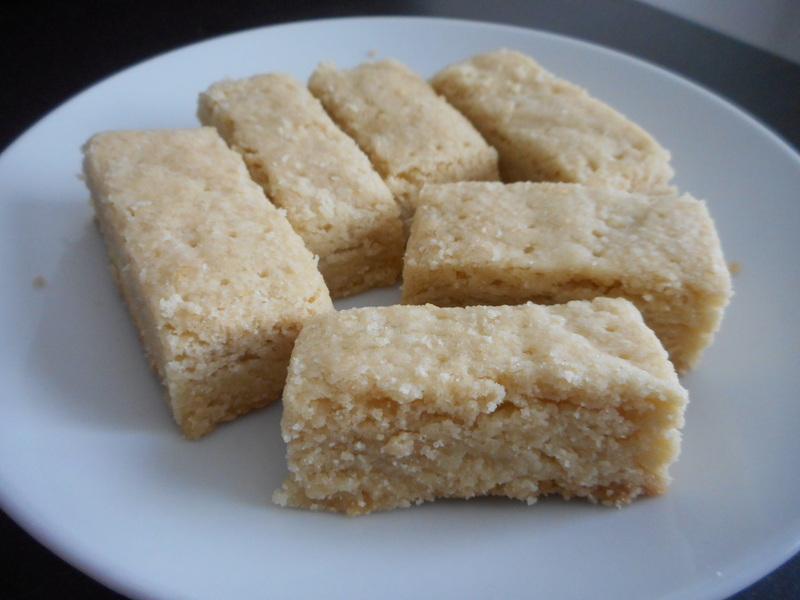 I’d never been interested in it before–the shortbread basically looked like sticks of butter; try harder, Walkers–but somehow they were tempting that night. That or Steve Urkel was having a weird effect on me, I don’t know. Usually I’m a cheesecake purist. If it comes topped with any kind of sauce, compote, coulis, or anything more flavorful than, say, whipped cream, I don’t want it. Plain cheesecake is perfect already. Weirdly, however, there are several over the top cheesecakes on The Cheesecake Factory’s menu that I do love and allow. Cheesecake topped with strawberries is somehow offensive to me and yet I love their chocolate chip cookie dough cheesecake, Oreo crust and all. I won’t try to understand it. This cheesecake, inspired by their banana cream cheesecake, is the first non-plain cheesecake I’ve ever made. That should say something about how delicious it is, and how well it strikes the balance between classic cheesecake and fun interpretation. 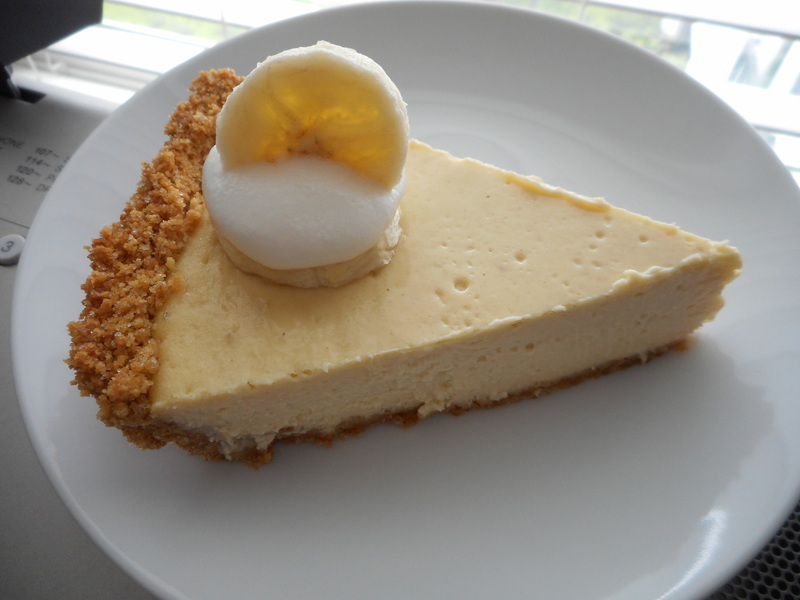 It adds variety without detracting from what makes cheesecake great, and the sweet banana flavor never overpowers the cheesecake’s natural tang. About six weeks ago I accepted a job offer, and I celebrated with a slice of banana cream cheesecake from The Cheesecake Factory. And somehow that wasn’t enough. Because about three weeks later, I found myself with an old, black, squishy banana, and when I looked at it I didn’t see potential banana bread as I’ve always seen before. I saw banana cheesecake. So I bought cream cheese and graham crackers and set to making that potential a reality. I know, I know, health has no place in baking. But in the case of banana bread, I want it to. Banana bread already feels healthy–I mean, it’s got fruit in it–why not roll with it and produce something you can justify eating for breakfast? 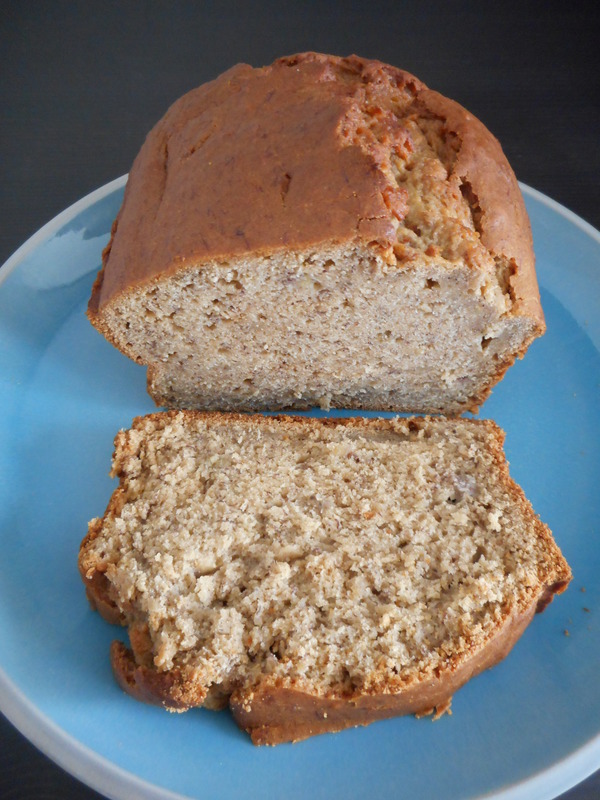 I never really thought of banana bread as cake anyway; it’s more hearty and flavorful. Adding a little extra health just seems like the natural next step. 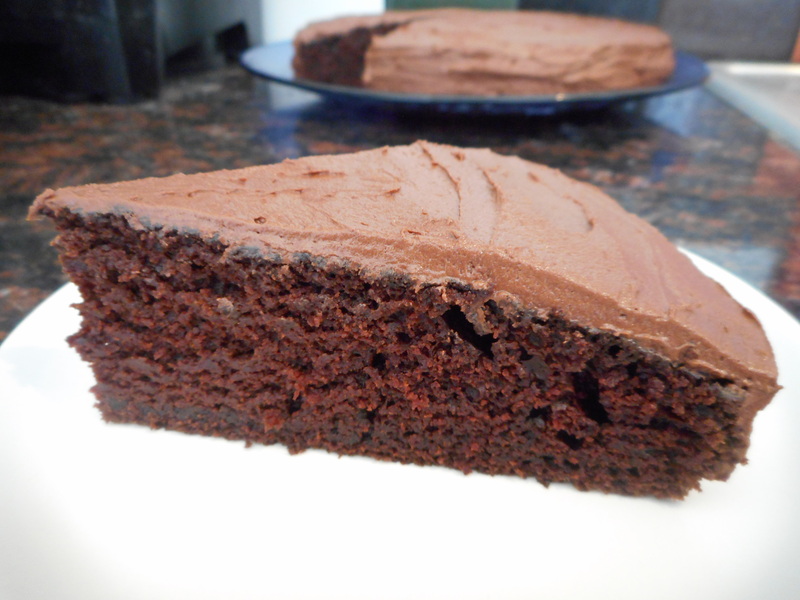 This is my go-to chocolate cake recipe. I was drawn to it from the moment I saw the pictures on Foodess, the recipe source. I remember being so stricken by the pictures because the cake appeared so deeply dark, moist, and chocolatey that it looked black. That’s my kind of cake. The darkness doesn’t quite come across in my pictures. To be fair there was no recipe for the frosting, so mine was largely improvised; however, this was day one and I swear the frosting got darker as the days progressed. Much like my outlook on life. The first thing you should know about this bread: I forgot to salt it. I made this with Tammy, and we didn’t put much effort into it, truthfully–we didn’t do the steam thing to create a crusty exterior (see tip #3 here), nor did we follow our recipe’s instructions to brush the bread with egg white for a shiny crust–but we intended to do the bare minimum. You know, flour. Water. Yeast. Salt. We realized the error as the loaves were nearly finished rising, and a vigorous shake of salt on top of the loaves before putting them in the oven didn’t do much good. But it didn’t really matter. 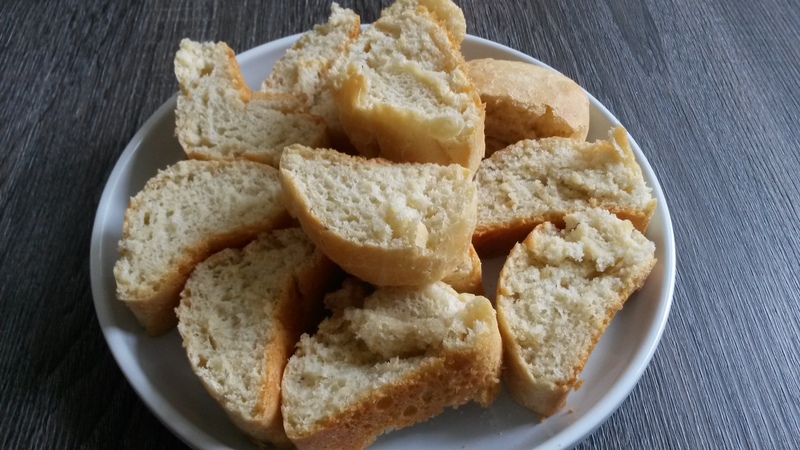 After impatiently slicing into the still hot bread, steam rising from each cut we made, we sat at the kitchen table and fell into the practice of buttering a slice, adding a sprinkle of salt, and eating it. Again and again and again.